Pure essential oils are magical to me. I use them daily for all sorts of things and can’t imagine life without them. I started using essential oils a few years ago and was blown away by the results. They influence my thoughts, my actions, my well-being – and that of my family, friends and clients. In our home, they offer us safe, natural alternatives to chemical and pharmaceutical products. My children know exactly which oils to use when they’re sad, sick, tense or tired. In my work, they provide clients and students with tools they can implement independently to feel well and empowered between our sessions. I use and work with dōTERRA essential oils. They’re pure, of the highest quality, and work well for my body, mind and spirit. Everyone is different, so everyone has to find what works best for them, but I can only write about or recommend that which has worked for me, my family, clients and friends. After years of interest and research, I've come to appreciate that dōTERRA provides superior products. I really value that there are no added fillers, synthetic ingredients, or harmful contaminants in their essential oils. Plus, the aromas and impact of their oils are like no others. Check out this link to learn more about their growing, distilling and testing practices. 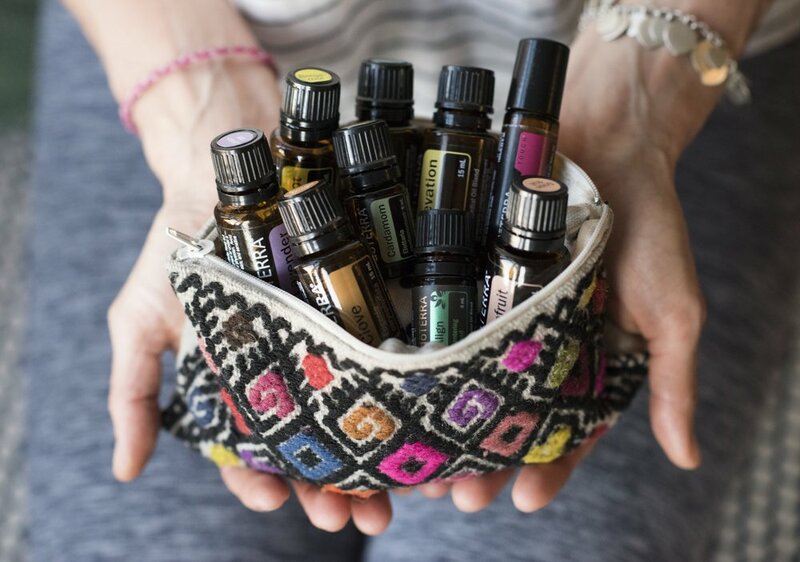 If you'd like to enjoy the benefits of dōTERRA oils in your home or wellness practice, contact me or use this link to purchase oils as a Wholesale Customer (25% off of retail) . Also, I'd be happy to set up a complimentary 20-minute consult with you to help you choose which oils best fit for your needs. I'd love to help you get started.